We’re on our way fairly early this morning saying goodbye to Kev, Flo and the kids and hitting the road. 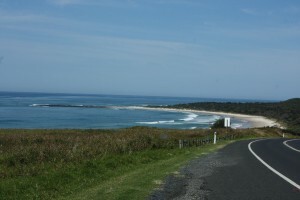 We headed south on the M1 towards the Gold Coast, passing by Tweed Heads, and then into Byron Bay for a look. 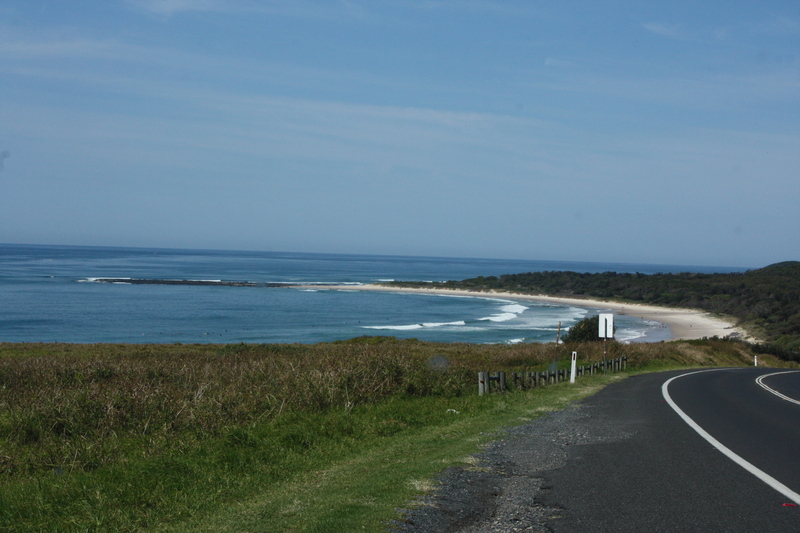 We took some video as we passed through Byron Bay which I’ll post after editing. 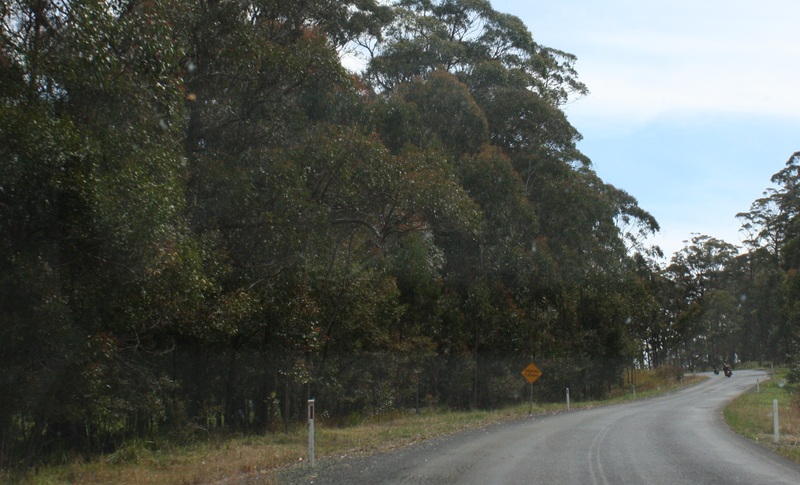 We then continued south following the coast and slowly started moving inland through the sugar cane regions of Ballina, Wardell, Broadwater and Woodburn. 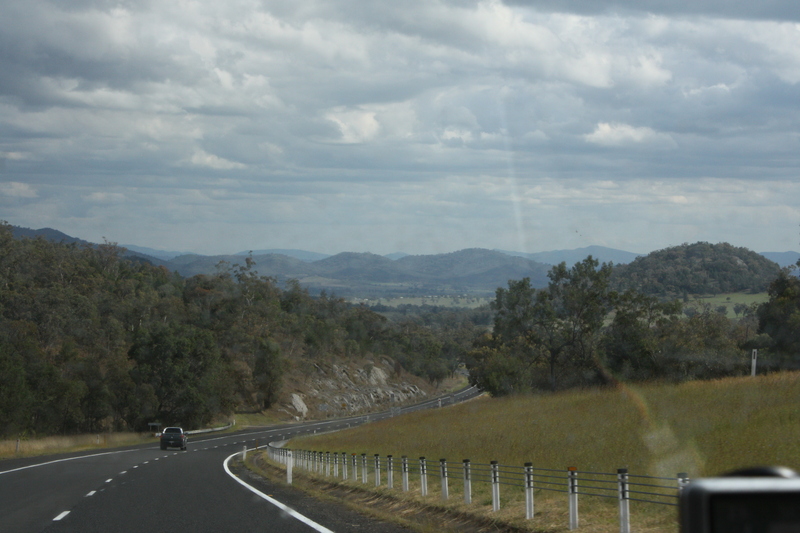 When we hit Grafton it was time to get of the busy Highway 1 and take a beeline to Armidale through the mountains. This turned out to be an interesting route through some rugged and dense state forests like Sheas Nob State Forest and Clouds Creek State Forest. 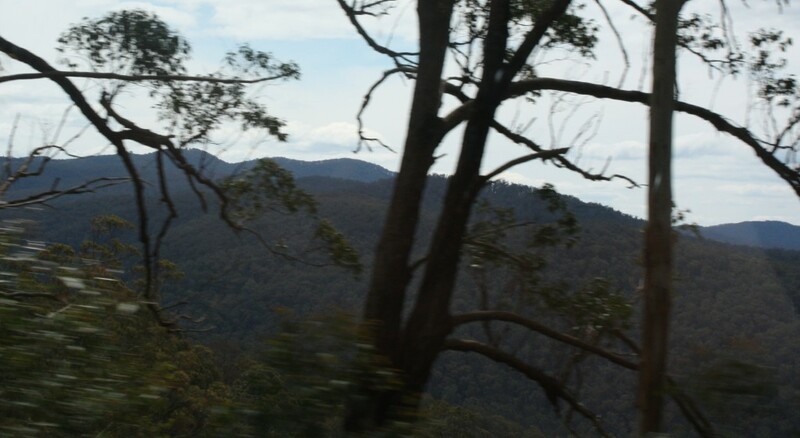 We reached an altitude of 1,364.2 meters (4,476 feet) above sea level just as we approached the Cathedral Rock National Park and Serpentine Nature Reserve on Grafton Rd. Good thing it was a clear day as at this height, we would have been above the clouds. 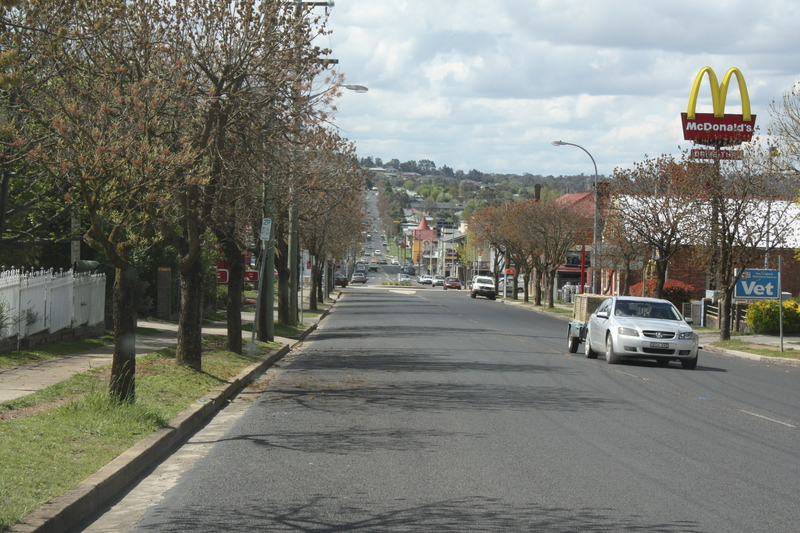 Soon after this, we were in Armidale where we stopped for lunch and a bit of a look around. 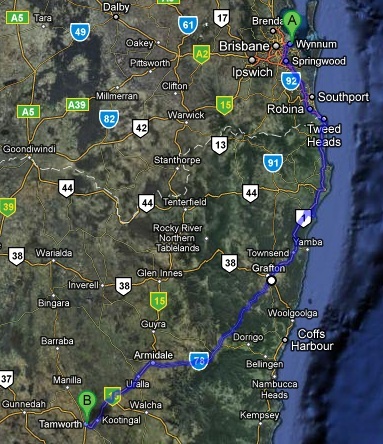 The last leg for the day was the short distance down to Tamworth where we checked into a cabin at the Austin Tourist Park. Tomorrow we’ll have a good look around Tamworth, but tonight find a pub for a meal and hopefully catch some live music which we did. The Tudor had a young singer/guitarist by the name of Tiffany Sullivan. She wasn’t bad. She had a bit of a Jewel sound and style which for those that know me, would be right up my alley. The meal was a bit of a disappointment though. Had a sea food platter that would have been better from a fish and chip shop, probably the reason we didn’t need to book. 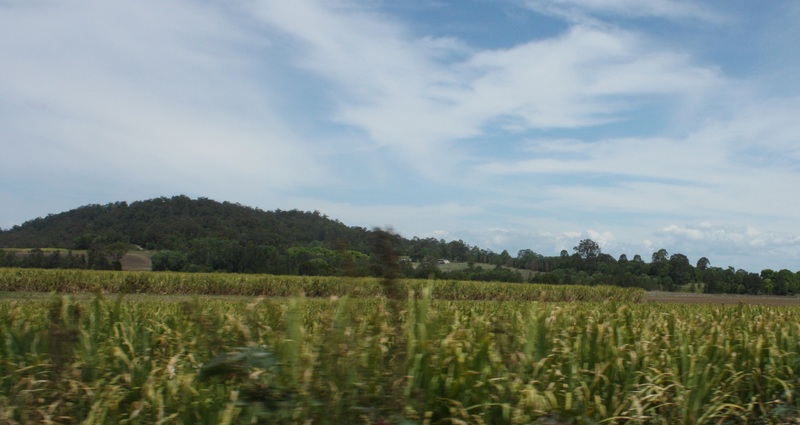 Tagged Armidale, Austin, Ballina, Broadwater, Byron Bay, cane, Cathedral Rock, Clouds Creek, country, Gold Coast, Grafton, Jewel, music, Serpentine, Sheas Nob, sugar, Tamworth, Tiffany Sullivan, Tudor, Tweed Heads, Wardell, Woodburn. Bookmark the permalink.